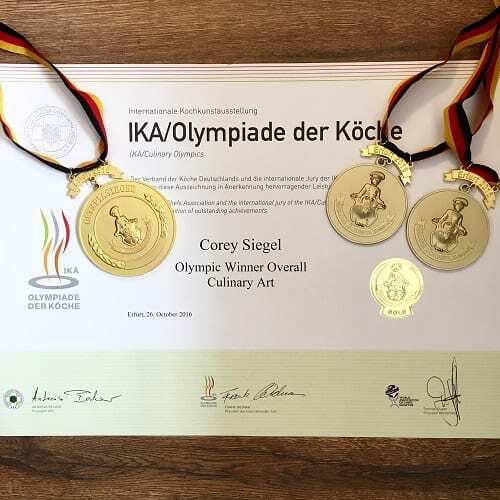 The American Culinary Federation’s Team USA earned gold in the Hot Food competition and the Cold Food competition at the “Culinary Olympics” from Oct. 22 – 25 in Erfurt, Germany. The team also won the overall gold for Cold Food. 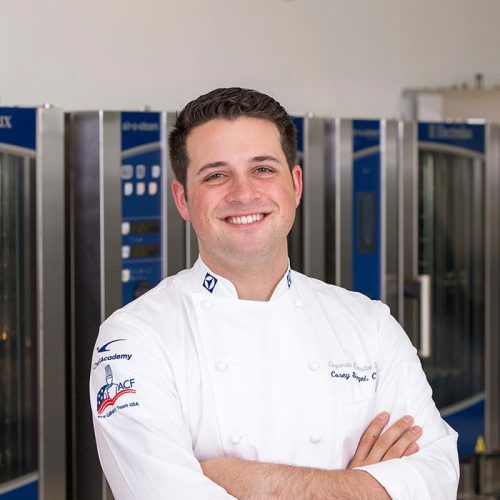 Electrolux Professional corporate executive chef Corey Siegel and Myers Park Country Club executive chef Jason Hall spoke with WCNC, the NBC station in Charlotte, North Carolina, about being part of Team USA and the wins in Erfurt. Electrolux Professional was one of the sponsors for the 2016 ACF Culinary Team USA. “It’s a huge honor because we’re not only representing Charlotte and our places of work, but 18,000 members of the American Culinary Federation,” Hall told WCNC. Siegel told WCNC that the biggest challenge they faced was staying perfect on every dish. Click here to read WCNC’s story. Singapore, Finland and Switzerland – three national culinary teams also sponsored by Electrolux Professional – took the top three podium place. Team USA came in fourth overall. U.S. Army Combined Arms Support Command earned bronze for community catering. The Youth Team USA won a silver medal in edible buffet. IKA, held every four years, is the largest international professional competition for chefs, cooks and pastry chefs. More than 2,000 chefs representing more than 50 nations are expected to participate, turning the Erfurt exhibition halls into the largest restaurant in the world. Preparation begins four years in advance. Chefs from across the nation compete to earn a spot on one of the U.S. teams. Each chef must demonstrate exceptional skills in hot-food and cold-food disciplines. Once the teams are assembled, the practice schedules are intense, including monthly sessions with practice days that can average 20 hours. To learn more about the U.S. teams, visit the ACF Culinary Team USA website. Staff Sgt. Justin Gonzalez CC, U.S. Army, Washington, D.C.
Sgt. Joseph Hale CCC, U.S. Marine Corps, Washington, D.C.